Established for over 25 years Lakeside Curtains takes pride in supplying bespoke handmade window treatments, and soft furnishings with a personal service. After gaining a City and Guilds Qualification in Curtain making and Soft Furnishings Karen took over Lakeside Curtains in 2006. 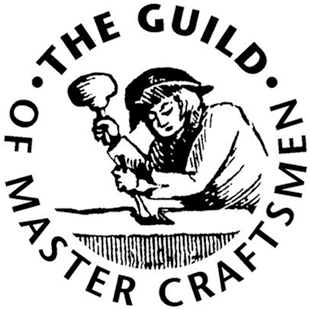 Karen is also a member of the Guild of Master Craftsmen. Lakeside curtains will help you to enhance your home with quality handmade, hand sewn Curtains, blinds, accessories and soft furnishings. We provide an individual fully bespoke Service from the initial free consultation to the final Fitting. At your initial consultation in your own home or in our workroom Karen can offer an extensive range of fabrics to suit all styles from many of the UK’s leading suppliers, as well as a comprehensive selection of linings, trimmings and accessories. All the popular curtain headings are available, pinch or pencil pleat, eyelets in many colours, as well as the more traditional; swags and tails, pelmets, valances, cushions and tie-backs. We offer Venetian or vertical blinds, and specialist blinds to fit patio or conservatory doors. To further enhance your home décor many of our fabric ranges are available with co-ordinating wallpaper. We are also able to provide fire retarded, anti-bacterial fabrics and linings for use in Schools / Colleges, Community centres, residential and care homes. We offer roller blinds, which can be made with your own fabric to match your décor (subject to fabric suitability), venetian or vertical blinds and specialist blinds to fit patio or conservatory doors. We can provide a full selection of curtain tracks and metal or wooden poles, in contemporary and traditional styles, with samples available to make your choice a little easier. We offer a fully insured and professional fitting service for all tracks, poles and blinds supplied by Lakeside Curtains. Everyone’s tastes are different and that’s why Lakeside Curtains have so much to offer, contact us today to discuss with Karen your vision, either in your own home or on a visit to our workroom, or check out our gallery for inspiration. We take great pride in supplying the very best bespoke handmade window treatments and soft furnishings. See below for our range of services, here to help enhance your home.
" You have made a wonderful job of my lovely pink curtains and I am delighted. Your workmanship is outstanding. They are gorgeous, quite the best I have ever had"
"A huge thank you for making my curtains so perfectly I do believe they could not have been done better, all my family and friends love them I hope you get great satisfaction from making something so expertly." "WOW IS ALL I CAN SAY!! The new curtains look splendid……. the improvement is truly superb. The Girls were very excited to see them up when they got back tonight"
" The curtains and Roman Blind are beautiful and elegant. Thank you for your professionalism and high standard of work"
"Just a quick note to say that we have eventually finished the work on our bedroom and were able to hang our curtains a few days ago. We wanted to say thank you for doing such a lovely job of making them we are very pleased"
"Thank you so much for the beautiful curtains you made for our home- they look great we are really pleased with them." "Just a quick note to say thank you so much for the blinds you made for our dining room, they are fab"